Enjoy playing garba in navratri and tempt your tongue with special Indian traditional recipes to make your celebration a cheerful and delicious as each recipe. A variety of cuisines accompanied with each special celebration is a heart of every Indian festival. An energetic celebration of nine nights – Navaratri is celebrated all over India in various forms. In Gujarat, people do fasting and play garba by taking decorative pot on head to worship Goddess Jagdamba. In Kolkatta, people worship Goddess Durga for nine days. Besides traditional rituals, people also do fasting to get blessings of goddess. While doing fasts, devotees do not eat all the usual food. So, they have to stick for special navaratri food. 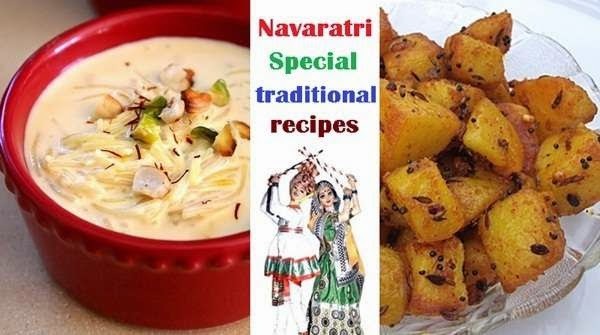 If you are wondering that what you will eat during your Navaratri fasting then, check out the full recipes of special traditional dishes to eat during nine nights of navaratri. Worship Goddess Durga during Navratri festival in order to seek her divine blessings by doing Durga puja at home and observing fast for nine days. Navratri festival is celebrated with great enthusiasm and joy across India every year in different forms including Durga puja and fasting, playing garba, etc. Devotees worship various avatars of the Goddess - Durga, Lakshmi and Saraswati for nine constant days to seek her blessings, ask for peace and prosperity, and protection from any unknown fear and probable risk. 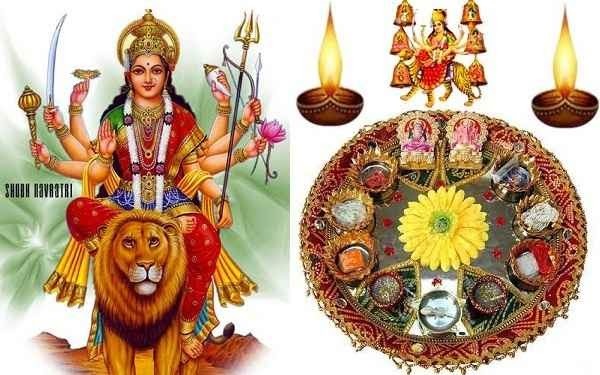 Each Devi amongst nine divine forms of Goddess Durga is connected with particular day (tithi) of Navratri, thus worshipping of that Durga on that specific day of Navratri gives best results. It is very important to know the proper way of performing the Navratri puja vidhi and following fasting rules to seek her divine blessings. It is assumed that those devotees who do Navratri fasting and puja with full faith and sincerity will find bliss on earth and will get ‘moksha’ (salvation). How to do Navratri Puja? Get your house cleaned and ready on the Amavasya, a day before the starting of Navratri as you are inviting Goddess into the house. On the very first day of Navratri, you have to wake up early in the morning (get up sharp at the sunrise), take bath and wear laundered clothes. Keep 'deep' at the left side of the goddess, and light the 'Akhand Jyot'. Don’t keep the house vacant if you are lighting the 'Akhand Jyot'. Put incense sticks and other necessary things on the right hand side of the goddess, and then get ready for performing Puja with full dedication and focus. Celebrate Navratri festival 2014 for nine days by dressing up in attractive colors each day and worshipping Goddess Durga, doing the dandiya dance, and enjoying good food. Colors hold special significance in any festival, and the popular Navratri festival in India also has an interesting ritual for the women who wear 9 various colors during the 9 days of the festival season. This auspicious festival is celebrated with great zeal and devotion all over the country, and people offer prayers to give honor or respect to the different forms of Goddess Durga, enjoy feasts, dance and music, and celebrate the victory of Good over Evil. Furthermore, the color themes are mostly followed by the men and women of Gujarat and Maharashtra, and on every day of festival, the devotees offer a specific colored saree to the Goddess, and each color has an importance of its own and represents different forms of the Goddess. Do you know the 9 colors used during Navratri festival for 2014? 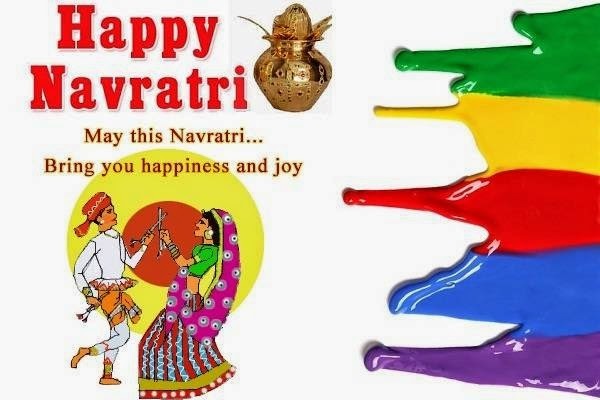 If you don’t know, then go through here the list of those Navratri nine colors to wear or dress up and share the spirit of joy and happiness. Which color to wear in Navratri 2014? The first among nine Durgas is Shailaputri Maa, who is the daughter of Himalaya, holds trishul in the right hand and a flower in the left hand, and wears Grey saree. The color to wear on the first day on Navratri for devotees is ‘Yellow‘. The second day is dedicated to Maa Brahamcharini ("Brahma" means "Tapa"). The idol of this Goddess is supposed to be very beautiful delivering a message of love to the whole world. She is full with high spirits, has rosary (mala) in her right hand, Kamandal in left hand, and decorated with an Orange colored saree. Devotees can wear Green color on this day. The third day signifies Maa Chandraghanta, who establishes justice universally and wear crescent moon on her forehead. She is dressed in a White saree, exceptional image of bravery, and seated on Lion. Wearing Grey color on this day would be auspicious for the devotees. The fourth day of Navratri is contributed to Maa Kushmanda, who is said to be the creator of the universe. This form of Maa Durga is dressed in Red colored saree. This day represents the source of offering basic requirements to all. Devotees should wear Orange color on this day. The fifth day is dedicated to Maa Skanda, who provides the gift of differentiation between right and wrong to the globe. The Goddess is draped with Blue colored saree. Wearing White colored clothes would be very fruitful for the devotees. The sixth day of Navratri festival signifies Maa Katyayani, who firmly battles against the evil and deceitful entities. The Goddess is dressed in Yellow colored clothes. Red color should be worn on this day. This day is contributed to Kaalratri, who is one of the fiercest forms of Goddess Durga and her appearance itself evokes fear. She is known to be the destroyer of all demon entities, and is dressed in Green colored saree. Wearing Blue colored clothes would be very fruitful for the devotees. The eighth day of Navratri festival signifies Maa Gauri aspect of Goddess Durga. Durga Ashtami Puja is held in several parts of India. Maa Gauri wears Peacock Green color on this day. Wearing Pink color would be auspicious for the devotees. This day is dedicated to Maa Siddhidatri, who showers knowledge that intends in making each soul pure. She is dressed in Purple color and is known to have great supernatural powers. In 2014, Navami and Dashmi are on the same day. Devotees should wear Purple color on this day. Drinking water on an empty stomach every morning can have remarkable therapeutic effects for a number of health issues. Here are some important benefits of morning water therapy. We all know how important it is to stay hydrated and drink sufficient water, but did you know that water is most beneficial when consumed early in the morning on an empty stomach? In fact, drinking water right after waking up is the easiest yet smartest thing you can do for your health. This simple practice is said to have magical effect in curing various health conditions ranging from asthma, bronchitis, headache, pain, constipation, vomiting, gastritis, diarrhea, hemorrhoids to even cardiovascular disorders and cancer. This is the reason why the practice of drinking water in the morning is referred to as early morning water ‘therapy’. Drink 1.5 liters (i.e. 5-6 glasses) of water right after you wake up in the morning. Do not eat or drink anything else for 1 hour prior to and after drinking the water. Avoid consuming any alcoholic beverages the previous night. At first, you may find it difficult to drink 5-6 glasses of water at once but gradually your body will get used to the protocol. And to make it easier for your body, you can slightly modify the protocol in the beginning. Like, drink four glasses of water, keep a gap of about 2 minutes, and then drink the remaining 2 glasses. This Navratri, try these mouth-watering and delicious farali recipes to satisfy your taste buds for your Navratri vrat or upavas. The auspicious festival of Navratri is celebrated nationwide by worshipping Maa Jagdamba, a form of Goddess Durga. Navratri marks the beginning of spring or autumn, which means change of season. During the change of seasons, our immune system becomes weak so we are advised to consume light and nutritious meals. This is the reason why people should practice fast on all the nine days of the festival. People who practice fast avoid eating foods like meat, grains, alcohol, onion, common salt, garlic, etc. which are harder to digest. Fasting in navratri is an effective way to cleanse and purify the body and mind. 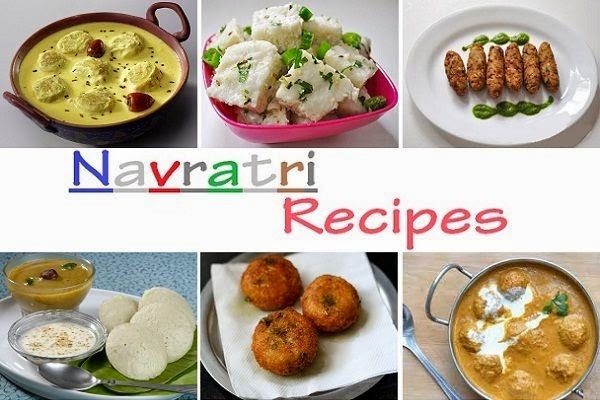 Enjoy each and every bite of fasting food without compromising with your health and taste with these special recipes for Navratri vrat or upavas. 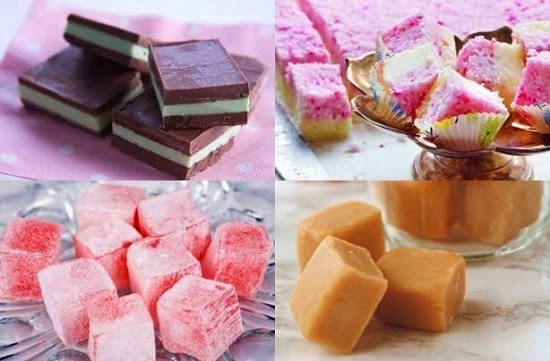 These recipes are irresistible and more mouth-watering compared to regular food. Clean and wash sama in seeds. After that, add the remaining ginger-chilli paste, potatoes, sugar, lemon juice and salt. Mix well and cook for 5 minutes. Once the mixture cool down, divide it into 16 equal portions. Now, put 1 tbsp. of the idli batter into greased idli moulds and spread the stuffing over it. Sprinkle peanut powder and top it up with idli batter. Steam them in an idli steamer until done. Make a fine powder of coriander seeds, 2 red-chillies, peanuts, dry coconut & cinnamon and keep aside. Boil a vessel full of water and add bottle gourd, yam and potatoes. Cook them till the vegetables are cooked. Drain and make a smooth purée. Transfer the mixture to a deep non-stick pan and add 4 cups of water. Then add ground powder & rock salt and cook for 10 to 15 minutes. For tempering, heat oil in a pan and add the cumin seeds. After that, add 2 red chillies and sauté for a few seconds. Pour the tempering over sambhar and simmer for 3 to 4 minutes. Lastly, add the lemon juice and mix well. Check out the must watch skin cancer gallery to identify common skin cancers and non-cancerous types of skin growths at early stage and save your life. We all want to know the secret for preventing skin cancer, which becomes the most common type of cancer. But, there is no surefire strategy to avoid it. Fortunately, all types of skin cancers can be treated if they are diagnosed at early stage. Most melanomas are diagnosed by patients, not doctors, so it is very important for you to examine your skin head to toe once a month in order to identify potential skin cancers early. Seeing photos of melanoma is one of the most effective ways to identify skin cancer at early stage and save your life. 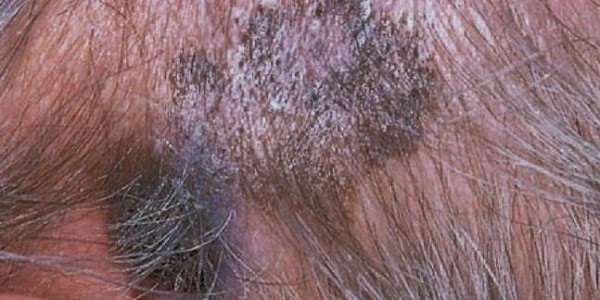 Here are must watch skin cancer photos to identify it. These photos are of the common skin cancers and noncancerous types of skin growths. Make several types of Indian kheers like anjeer kheer, carrot kheer or mixed fruit kheer to celebrate every occasion as well as to satisfy your taste buds. India is a delightful merging of various kinds of people with interesting traditions, life style and special cuisine. Indian recipes are best by means of hygiene, health, taste, and its special time to eat on special occasion to induce more sweetness in the air. Sweet dishes in India have special connection to every Indian's heart. Sweet dishes like gajar ka halwa is best dish to celebrate your every victory and puran poli is very much popular is Maharashtra state to celebrate every traditional occasion sweetly. Kheer is all time favorite sweet dish of every Indian from north to south and from east to west. So, each region of India has its own method to welcome you with the special kheer recipe that makes your taste buds to want more and more. 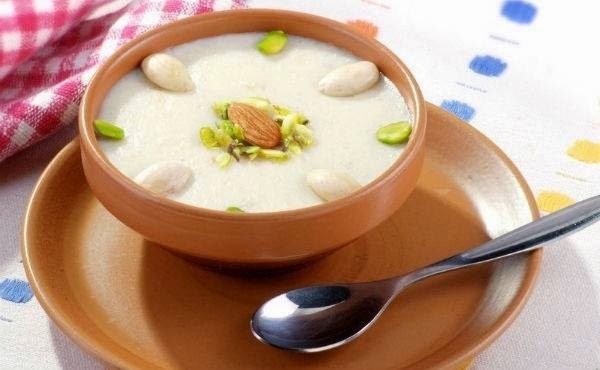 Check out different recipes to satisfy your hunger for the mouthwatering Indian kheer. With traditional kheer, you can also make below given five special types of kheer to enjoy on every occasion. Pine trees have long, needle-shaped leaves, and are in huge demand for lumber, landscaping, erosion control, privacy screens, and several other medicinal uses. Pine trees are evergreen and produce dense shade, have a wonderful citrus-like smell, and look very attractive in the winter landscape, as the long pine needles blow in the wind and reflect the sunlight. Pine trees have a long life, and generally reach ages of 100-1000 years old or more and nearly all of the parts of pine tree have some types of survival use, including their sticky sap, edible bark, and wood, which is an outstanding fire-starter. 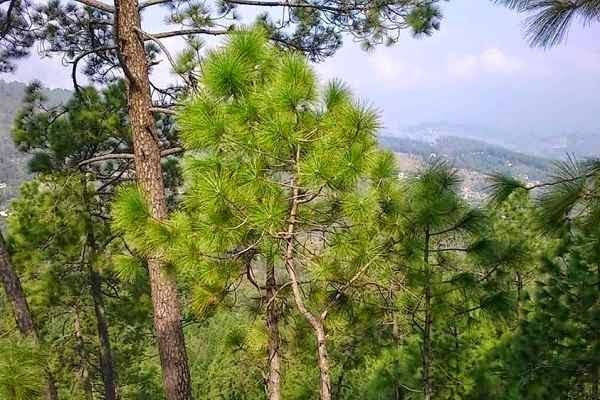 Pine trees distinguishes itself from other trees by having uncovered seeds borne in pairs on the bracts of (female) cones and narrow leaves (needles) set in bundles of 2 - 5 and with an enduring or deciduous sheath at their bases and such bundles of needles are known as fascicles. Now let’s see the surprising health benefits of this fast growing Pine trees. 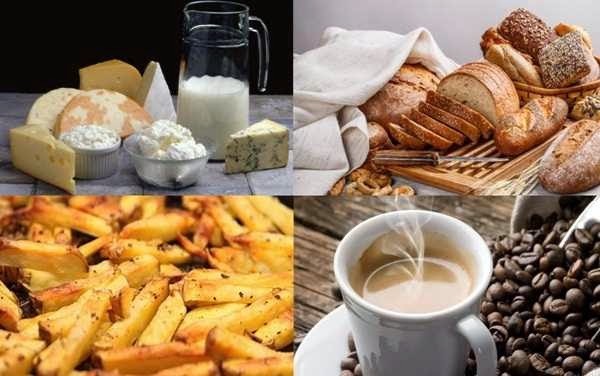 To get gorgeous acne free skin, stay away from food items that are responsible for acne breakouts like bread, sugar, coffee, dairy products, and deep fried foods. Acne is normal in teenage life phase, when everyone gets acne breakout due to hormonal changes in our body. 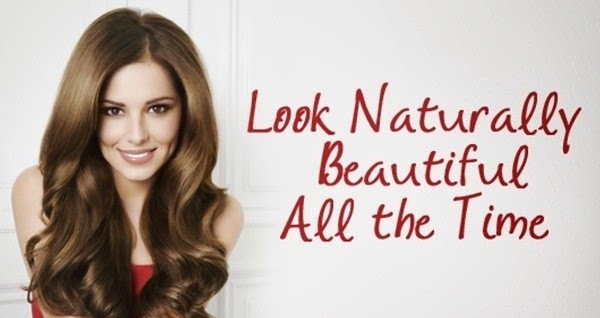 But with essential skin care routine and right diet plan, we can control outbreak of acne. Acnes are considered as a result of clogged pore with skin oil. Due to blockage of dead skin and pollution, skin gets irritated and excess skin oil comes out from pores. With modification in your diet, you can reduce the excess production of skin oil and reduce occurrence of acnes to give you beautiful flawless skin. There are certain foods in our regular diet that increases the oil production to more than average. So, avoiding those foods can help you to stop acne. Check out some of the top acne triggering foods to stay away from. 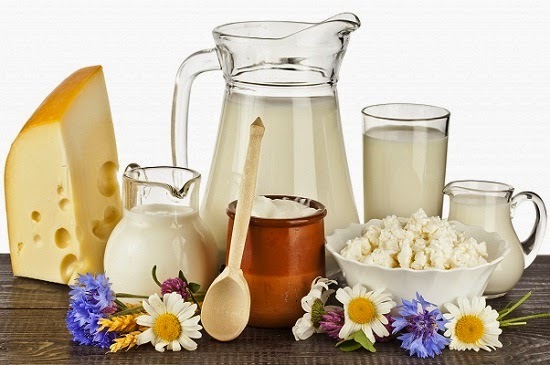 Dairy products like cheese, milk and butter can keep your skin oil levels higher. These dairy products also trigger acne building hormones. Access consumption of dairy products and especially milk cream make you more prone to acne. Besides cow milk, you can consume almond or coconut milk. Increased amount of sugar in your diet can lead you to have more acne. Sugar is considered as pro-inflammatory ingredient that increases the progress of inflammatory acne condition. To reduce the occurrence of inflammatory process of acne, person must lower the consumption of sugar. You can use honey, maple syrup or sweet fruits to satisfy your sweet cravings. A cup of aromatic coffee in the morning makes your day more than just good, as well as it also say good morning to acne breakout. 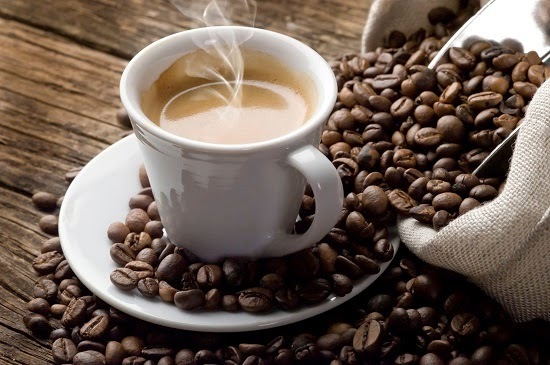 Yes, research has proven that excess consumption of coffee can lead to acne. It stimulates sebaceous glands and increases the process of inflammation. So, you can replace your brewing coffee with green tea or yerba mate as good morning beverage. 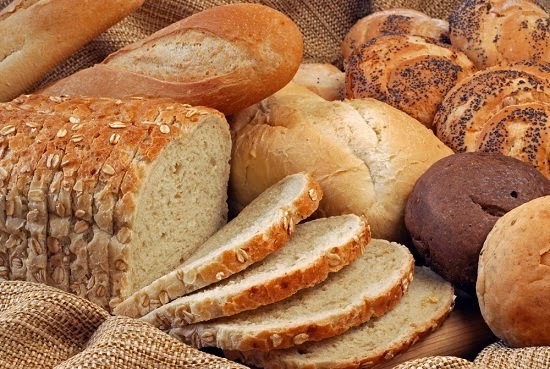 Wheat products such as English muffin or bread are inflammatory food products that act negatively on your flawless skin. So, it is mandatory to stay away from bread to get desired acne free skin. Bread or English muffin insert three big triggers of acne: sugar, soy and dairy. So, bread will increase chances of having aggressive acne three times. Peanuts consists of androgen that increases the production of sebum. Acne gets worse due to uncontrolled production of sebum. For acne free skin, you must avoid peanut butter and other products of peanuts to get flawless skin. 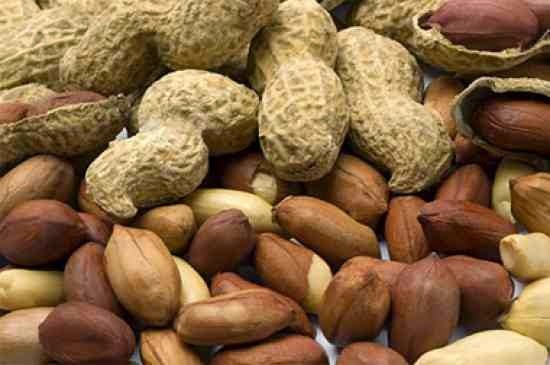 You can switch to almond or cashews instead of peanuts to get relief from irritating acne. 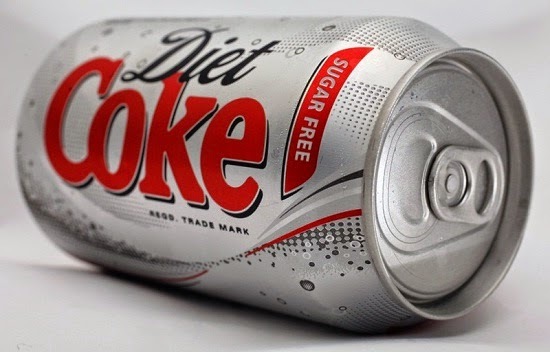 Artificial foods like diet soda and other cold drinks increase the chances of having worse acne. It reduces the pH levels in your body, and the production of sebum increases. It results into the clogged pores and acne. To improve the alkaline environment of your body, reduce the consumption of artificial foods for acne free skin. Processed or refined foods have high glycemic index and more salt that increases the acne prone hormone levels. 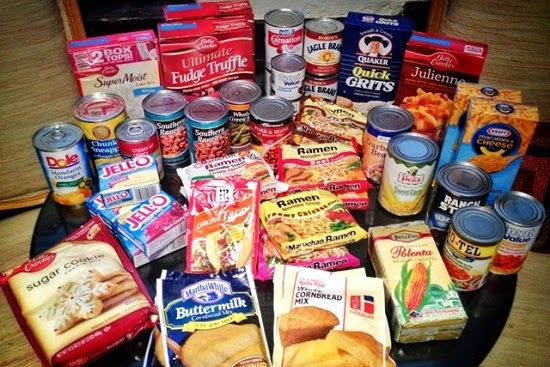 Processed foods offer a good environment for acne causing bacteria to grow. So, do not consume processed and fried foods too much. Avoid refined foods as much as you can to reduce outburst of acne in even teenage years. Tofu and other soy products are the main cause of building acne breakout around mouth and along jawline. 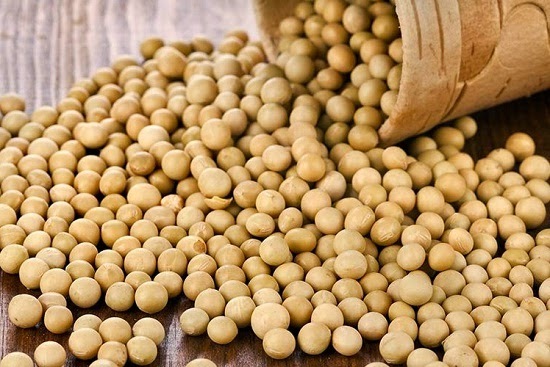 Soy contains estrogens naturally into it that increases the sebum production. Stop using soy in your diet to say bye-bye to acne around mouth and jawline. The secret ingredients to look gorgeous are easily available in your kitchen. There are many foods in your kitchen that make you look incredibly beautiful. It’s no secret that these days, women have become more conscious when it comes to their looks. They want to look gorgeous and attractive all the time. In order to fulfill their desire of looking beautiful, many women spend thousands of dollars at the salon and on expensive beauty products. But such expensive beauty products are loaded with chemicals and harmful additives. So, forget these pricey chemical filled beauty products and add charm to your beauty with foods items found very easily in your kitchen. Foods are the most reliable beauty tool for younger looking skin, fuller hair and a whiter smile. Here is a list of some of the superfoods for beauty that should be included in your daily diet to get gorgeous naturally. Dark orange, red and green colored fruits and vegetables are considered as the best foods for skin. These vegetables are packed with beta carotene, an antioxidant, which gets converted to vitamin A in our body. Beta-carotene also protects skin against sun damage. Vitamin A reduces the signs of aging as well as treats dry skin and skin conditions like acne, eczema, psoriasis and sunburn. Due to the benefits this skin-healthy nutrient, it is used in many skin creams. Fruits and vegetables rich in beta carotene are apricots, cantaloupe, carrots, red bell peppers, mangoes, pumpkin, romaine lettuce, squash, red peppers, broccoli, peas, tomatoes, sweet potato, etc. Taking a salt bath daily is the most relaxing way to keep your stress away. And best of all, it is very affordable, bringing all the advantages of a costly spa trip at your own home. Stress seems to be so common in everyone's life today, and it affects anyone - male or female, young or old, intelligent or unintelligent, rich or poor. Your stress level increases if you’ve been upset by a person or circumstances, feel worried about a current problem or predicting a future decision. Instead of letting your stress take over your life, it’s better to try easy and most relaxing ways to reduce stress and relieve tension in your mind and body. Natural ways like medication, eating healthy, etc. are the best ways to keep your stress away, but many people don’t follow it and rush to salons and clinics for massage therapies, which are very expensive. Now let’s see one natural and scientific way that can help you to leave the stress of the day behind and to relax physically and mentally. The easiest way is provided here - 1 bucket of warm water + salt = cheapest way to treat yourself with royal sitting in the comfort of your own home.